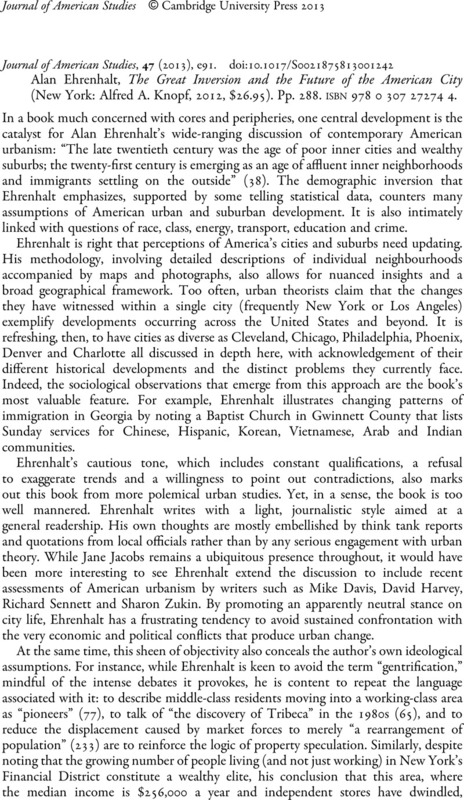 Alan Ehrenhalt, The Great Inversion and the Future of the American City (New York: Alfred A. Knopf, 2012, $26.95). Pp. 288. isbn978 0 307 27274 4.